Great idea for wedding gifts or wedding decorations. 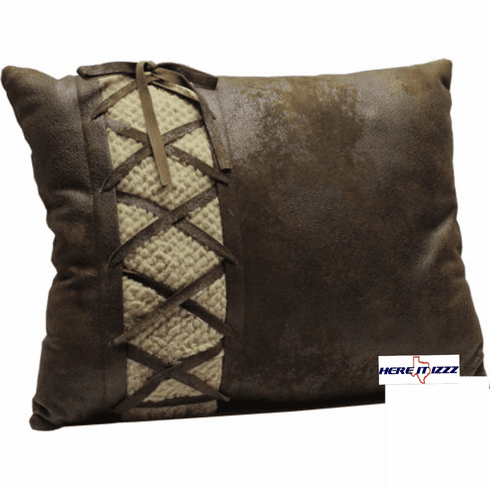 Gorgeous rustic design with the look of leather wrapped around burlap. An amazing chocolate fabric combined with a soft feel of simulated sheepskin. This pillow is one of our new favorites. Perfect for the home or lodge.